Enjoy preparing healthy ingredients for a meal or indulge in creative dessert smoothies and shakes with the superb Kenwood Hand Blender. Measuring 23 x 16 x 32cm, the compact blender works on one-handed control, while the interchangeable speed settings operate three stainless steel blades for tidy and efficient blending. 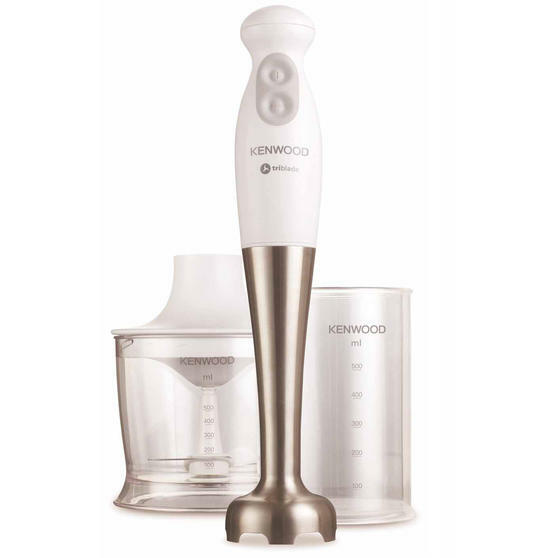 Delightfully easy to clean, the blender includes dishwasher safe parts and an anti-splash design, so there is no need to worry about mess, drips, splatters or spray during use. 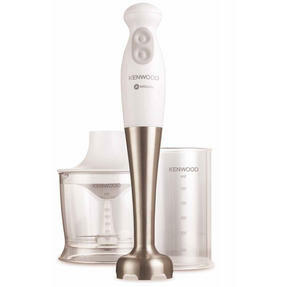 The Kenwood Hand Blender is the ideal kitchen tool, with powerful, efficient and controllable blending at the touch of a button. The unique foot design works to disrupt the flow of ingredients for maximum efficiency when chopping and blending food. With 2 speed settings and turbo function triblades, enjoy easily blending and chopping fruit, veg, ice, biscuit, nuts and much more. Lightweight and compact, the blender has one-handed push button operation while the design works to eliminate unwanted splashing. 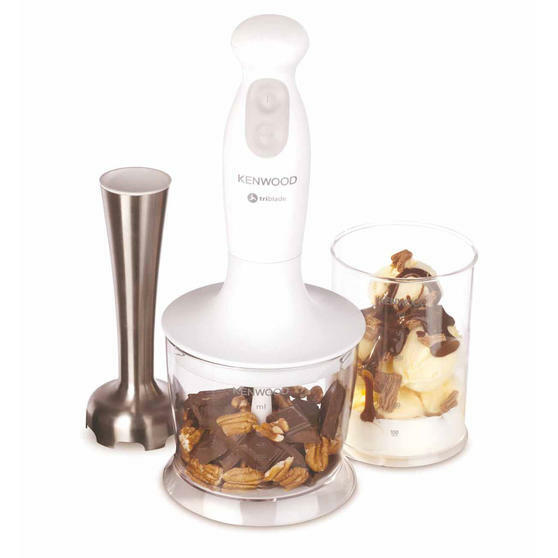 The 450W hand blender includes a 0.5 litre calibrated beaker and chopper ideal for quick and easy measuring and portion control.